A warm summer twilight – wispy fescue grasses blow gracefully back and forth in your peripheral sight – a shimmering display of golden browns and strips of deep greens are perfectly framed by native sagebrush. Rugged granite rock outcroppings, dotted by bright white sand combine with blue skies and cool breezes. 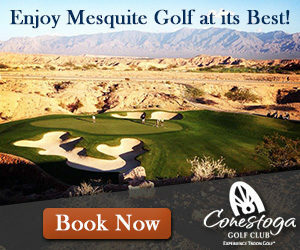 This is Victory Ranch Golf! Massive sweeping views of the Wasatch Mountains and surrounding farm lands are present from the first tee shot, to the very last putt. You are engaged, excited and overjoyed to play the next shot. Each new hole keeps getting better and better through the routing and is perhaps one of the most playable modern golf designs I have played to date. Why? Victory Ranch features numerous yardage options, with at least 7 tee boxes per hole, and in some cases up to 12 tee boxes! I think just about anyone can find a yardage and challenge level they can play from with that many tee box options? 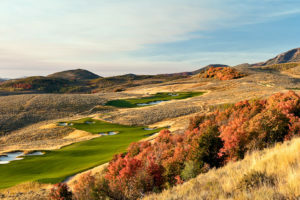 One of the more unique golf real estate developments in the Park City area offers a Rees Jones designed jaw-droppingly good golf course. Jones kept the golf compact and in the valley so very few of the upcoming housing would encroach upon the golf holes and their beauty. Great care and thoughtful golf design went into the plan on a hidden piece of ground, out of sight from virtually any roads or other homes. In our book Jones hit this one out of the park! 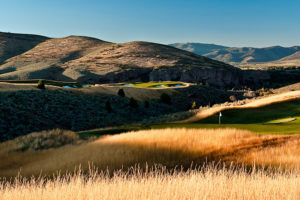 Arguably the finishing stretch is the highlight of the round, starting at #16 plays along a ridgeline overlooking the Jordanelle Reservoir, the upper Provo River, and features some of the best golf holes in the state including the par 3 17th with 12 tee boxes in which to play from, producing numerous different looks into an jaw dropping par 3 perched atop a stunning clifftop. 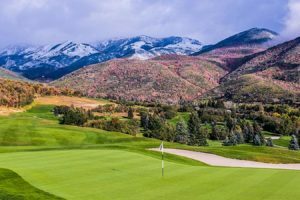 If you want to play the best of the best golf in Park City, you need to check out Victory Ranch in August, you will fall in love with this one. Brian Oar is an award-winning golf course photographer based in Southern Utah. Brian's work has been published in nearly every major golf magazine in the country, and many internationally. Chances are you have seen his work many times. 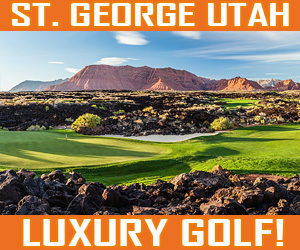 Regarded as one of the best photographers in the business, Brian is also one of the founding owners of GolfPackagePros, a niche golf packing company specializing in St. George, Mesquite, Las Vegas, Laughlin, Kauai, Branson and Park City.